Bluebeam PDF Revu eXtreme is the complete PDF solution designed for power users who want to do more. In fact, once you start using eXtreme, you’ll find that it’s more efficient, more powerful, and more reliable than any other product of its kind. This ultimate version of Revu has all of the same best-in-class PDF creation, markup and editing technology found in Revu CAD, but includes new advanced features for taking paperless workflows further. Use OCR technology to transform scanned PDFs into text searchable files. Create PDF forms that include text fields, buttons and digital signature fields, or add advanced form fields that automatically calculate values and define actions. Permanently remove confidential information from PDFs with special redaction features. Or, use Scripting to automate simple desktop processes such as adding headers and footers, text stamps, cover sheets and security. Choose from a number of built-in script commands, or integrate your preferred programming language to perform advanced functions. The possibilities are endless. Is Bluebeam Revu 64-bit compatible? Yes, Bluebeam Revu Standard, CAD and eXtreme are compatible with Windows 7 SP1 x64 and Windows 8 x64. Users can also install 32-bit plug-ins for Microsoft Office 2007, 2010 and 2013. Don’t you know how to change standard yellow folder to a colourful and bright? 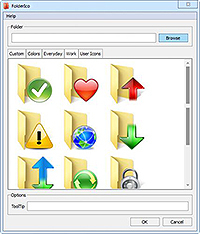 FolderIco is a unique application designed to enhance the color to Windows folders. With just a one click, colorize your folders, and discover a new intuitive way to classify your files. A quick look is now enough to identify the folder you are looking for! You can now classify your folders by Priority. Red is an Important folder, Orange is Urgent, Green is Familial. Choose the attributions that you like, so you’ll never delete an important folder by error. FolderIco is a very light soft, that doesn’t stay in memory. It uses a native functionality of Windows to be more efficient. Discover it’s simplicity: with a single right-click on a folder you change it icon! Over 20000 Blocks and Symbols ProgeCAD includes options such as PDF import and export, 3D modeling, XREF & DWG block library managers, AutoCAD-style command line with API extensions like VBA, AutoLISP, and C++ programming. 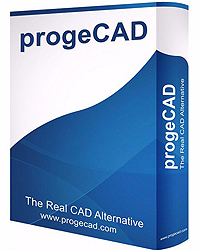 progeCAD offers more CAD functions than AutoCAD® LT or TurboCAD Pro at a fraction of the price compared to AutoCAD, ArchiCAD or Microstation. Professional Color Grading for Video. 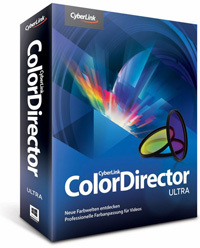 ColorDirector offers creative video-makers of all skill levels, the means to dramatically improve their projects through use of tools to control color and lighting. Split toning is an old photography technique that is now a more recent (and very effective) addition to the video editor’s toolkit. Adjust the depth of field in a photo. Keep only a small portion of the image in focus while taking the rest of it out of focus. The quickest way to draw your viewers attention to the focal point in your footage is by creating a vignette effect around that object or person. 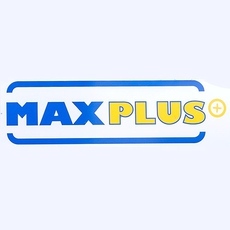 MAX+PLUS II software is intended only to support legacy designs. MAX+PLUS II software does not support MAX II CPLDs, Cyclone™ FPGAs, or Stratix™ FPGAs. Quartus II software is Altera’s primary development software and supports Altera’s newest device families and most older device families. The MAX+PLUS II BASELINE software includes support for selected FLEX, ACEX and MAX devices. 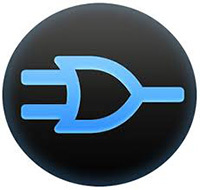 Logicly is an application especially designed to help teachers make circuit study more pleasant and efficient. It’s a tool that displays a more than user-friendly interface and allows you to create circuits by simply dragging components from the available library into the work area and then connecting them with wires. It offers you the chance to use components from categories such as ‘Input Controls’, ‘Output Controls’, ‘Logic Gates’ and ‘Flip-Flops’. The application is designed to use vector elements so every single item you add to the project look great and only contributes to an even better looking result. Everything that is added to the project can be moved anywhere, copied or deleted if not needed, rotated clockwise or counterclockwise and used to create integrated circuits. Connections between the components are made with simple clicks on the pins and can be deleted just as easily. The application and all that involves building the circuit is designed to be as straightforward and comprehensive as possible, allowing the student to focus on and understand how it ends up working rather than how it looks. 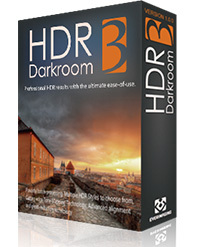 HDR Darkroom, a revolutionary high dynamic range imaging software can solve your problem, by squeezing extended details that would otherwise be lost into your image. Take three bracketed photos: one normal-exposed, one over-exposed and one under-exposed. HDR Darkroom is a handy and performant application designed to help you to process your digital images with great accuracy in just a few steps. HDR Darkroom can emulate the range of details that the human eye can detect by compressing the content of multiple frames into a single image. The results contain rich details and vivid colors without introducing anomalies such as halos or other blemishes. This is the strength of HDR Darkroom. Diversity is a word that can be attached next to anything, from living beings, objects to virtual items. When referring to media files, these are found in an astonishing large variety of quality settings and formats. Luckily, specialized applications such as PotPlayer give you the possibility to enjoy your favorite songs and videos without worrying about compatibility issues. The setup process guides you through a series of steps, which take very little of your time. Additional codecs are installed only if these are missing from your computer and not without your consent. Running it unveils a pretty interface, with elements reduced to a minimum, yet managing to include all necessary playback options, volume slider and a decent, resizable preview section. A playlist can be toggled on, as well as a control panel, with the possibility to stick them to the main window and move around the desktop as a group. The most advanced and complete high dynamic range photo editor ever created is coming soon to a PC near you. We’ve listened intently, and developed new Aurora HDR 2018 — a tool that will deliver an unrivaled HDR excellence whether your style is realistic or ultra-creative. Auslogics Duplicate File Finder will find and remove duplicate files so you won’t experience lack of free disk space! Auslogics Duplicate File Finder has the MD5 search engine which allows you to find duplicate files by content, regardless other match criteria. It would be helpful, for example, when two identical mp3 tracks or video files have different names. Give Auslogics Duplicate File Finder a try to see what it’s really capable of! Identical files not only waste your hard disk space, but also may cause system slowdowns. By deleting duplicate files you can reduce time needed to defragment your hard drives and minimize time used by antivirus to scan your computer. Auslogics Duplicate File Finder you can organize your media files and increase free disk space needed to enlarge your collection. Find duplicate files by content!